We aim to support schools, alternative education providers and community outreach programmes in advising and motivating children of all ages with their personal aspirations, career choices and future goals. Siddiqui Education prides itself on using the public profile of Baasit Siddiqui and the positive reputation of the Siddiqui’s from Gogglebox, to help motivate and inspire school children who really benefit from it. The Siddiqui’s profile continues to grow in a positive way. A fundamental part of the Siddiqui Education ethos is to ensure that teaching strategies regarding resources and delivery of the workshop are of the highest standard. 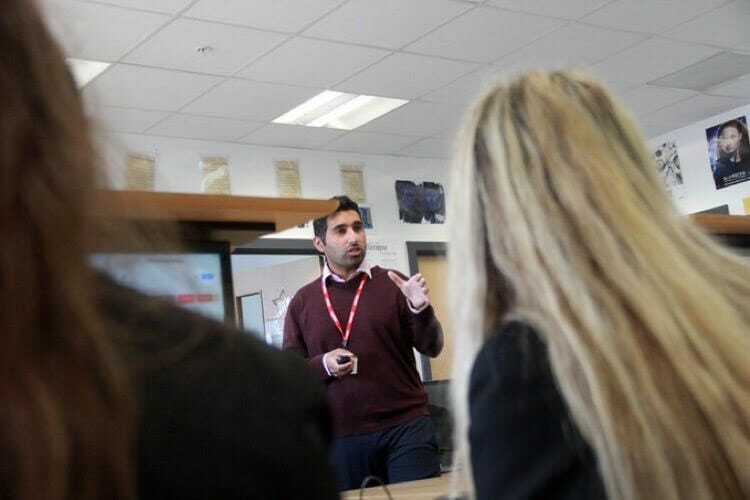 Baasit has ten years teaching experience and during his time as a head of department, he mentored NQT and PGCE teachers over a number of years. This ensured Baasit kept up to date with teaching pedagogy and successful approaches to behaviour management, pace, delivery and assessment. This skill set coupled with support from local research schools and research collated by the Education Endowment Foundation ensures that each workshop caters for supporting the progress of attainment of Pupil Premium and other disadvantaged groups of people. Siddiqui Education uses a stringent form of self-assessment, including entry and exit data from pupils on the day of the workshop and testimonials from schools. This is to ensure the resources that Siddiqui Education provide continue to be created by a reflective practitioner who take on board their client’s feedback. Baasit has also been on television for over five years on the BAFTA and NTA award winning show Gogglebox.